A top Sri Lanka Cricket official rejected speculation that Tillekaratne Dilshan had been disappointed and wanted to skip the current Australian tour. He claimed that Dilshan’s decision to join the team late was done with prior approval. Sacked Sri Lanka skipper Dilshan had been present at the official religious function and other ceremonies at the SLC headquarters when the team departed for their month long tour of Australia for the Commonwealth Bank Tri-nation series but had not left with the rest of the team. Instead, Dilshan stayed back a few days more in Sri Lanka and had left only last night to join the team after two warm-up tour games. “There is nothing dramatic in that. After the South African tour, Dilshan wanted a few more days off and made a request to the SLC to join the team a few days later. It was approved by the team captain Mahela Jaywardene and also the SLC officially as the first few games are not that important,” said a top SLC official. However speculation was rife earlier that Dilshan had been disappointed after being sacked from captaincy and had contemplated skipping the Aussie tour due to mental trauma. Meanwhile, former Sri Lanka skipper Sanath Jayasuriya claimed that Dilshan was probably asked by national chief selector Asantha de Mel to hand over his resignation before he was actually to be sacked. “I believe the chief selector must have asked Dilshan “What are you doing? If you are staying tell that you are staying. If you are resigning, tell that you are resigning”. This is how I think. He would have asked a resignation letter from Dilshan before he was sacked. Otherwise why did he have to resign? There was no reason for that as Dilshan had anyway been appointed till the South African tour. Why did he give a resignation letter? The only reason I can logically think is that someone should ask for it. The chief selector must have asked for the resignation. All of them are now trying to protect themselves,” Jayasuriya speculated in an interview with our sister paper “Ada”. Jayasuriya also said that senior players did not support Dilshan during the South Africa tour, though they did not accept it. “I did not see any Sri Lanka team player supporting Dilshan,” said Jayasuriya. When he was told that both Jayawardene and Dilshan had refuted this, Jayasuriya said it was no surprise. “It is like this. That is the usual practice. I have also been in that team. No one likes to accept anything though it is very much there. That is a usual thing. We don’t know. It also could not have been there. 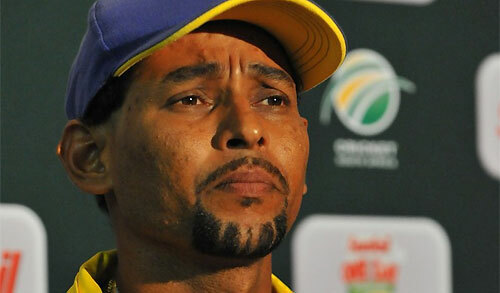 But when we looked at the players, when we saw how they behaved, we could obviously say that no one supported Dilshan. But we saw a marked difference in the last ODI of the South African tour, because by then they had realized Dilshan would no longer be the captain,” Jayasuriya said. Asked how that could be true when Dilshan claimed that he decided to resign only after completing the South Africa tour, Jayasuriya simply said that it had already been published in the media before the last match. Jayasuriya told “Daily Mirror” yesterday that even the change of national selectors was a futile exercise. “What is the point of changing the selectors? The new selectors have brought in just two new players. Can anyone tell me what a new selection committee can do differently? Are they going to manufacture players? They also have to rotate the same players around,” he said.